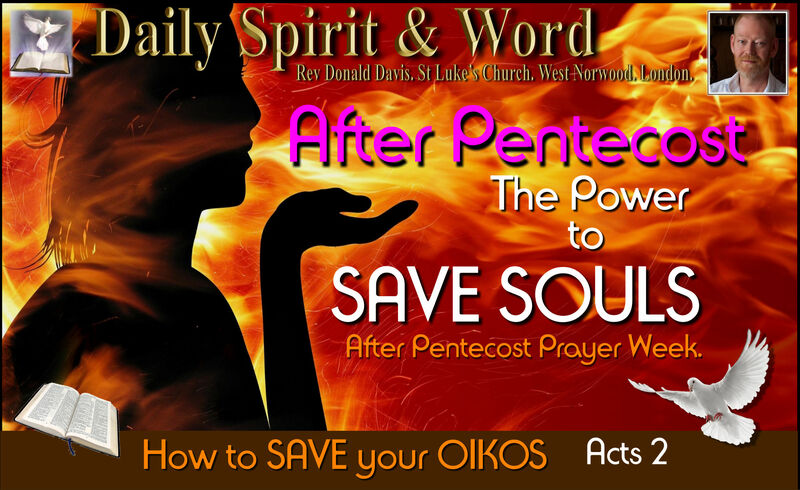 Daily Spirit & Word: 745: After Pentecost: The Power to SAVE Souls. WOWzer! WOWzer! 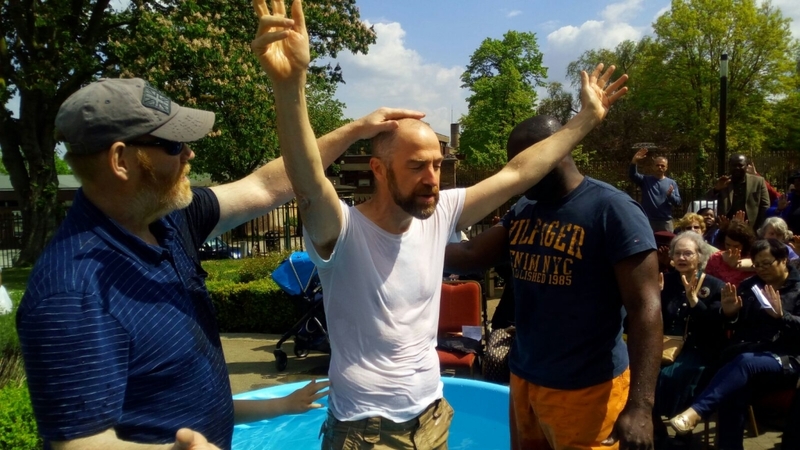 What an awesome Pentecostal Open Air Baptism Service we had. Good morning my friends, it really was awesome. I got up early yesterday so that I could both write and get the Baptism pool ready. I wanted to encourage you before I went out. Oh my friends, I feel so blessed by the Lord. You know, we’ve got an AWESOME family of brothers and sisters in Christ. Everyone came together yesterday to make it so special for those taking steps of commitment to Jesus. Thanks so much to David, John and Ben who got up very early and came to help me sweep, clean and build the baptismal pool. It was a sacrifice of pillow time 🙂 Thanks Amanda, who’d prepared song sheets and Bible notices in advance. 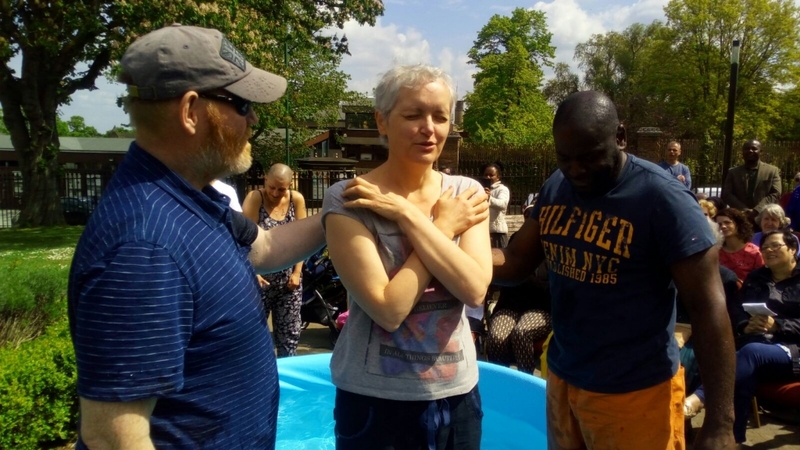 Thanks to Robert, Celestin, Isaac and the worship team, even Abi and Rebecca joined in…. every one of you are AMAZING. But you all know who I’m most thankful for: The LORD Jesus Christ, He was with us. It was a costly service for us all in terms of time, talents and treasures, but even more so for Him. Because before PENTECOST, there was a cost: Someone had to die before we could experience heaven in our hearts. Jesus died upon the Cross for us. He didn’t stay dead though, Jesus rose again back to life from the dead. He’s alive NOW! Enthroned in Heaven, but you can receive Him into your life today. He sends the Holy Spirit upon everyone who believes that His death was for their sins, who repents of their sinful rebellion against God and turns in faith towards Jesus Christ to receive Him as Lord, then in faith and obedience gets baptised into the Name of; Father Son and Holy Spirit, to become a Follower of Jesus, a Disciple who seeks to live from that day forward in obedience to Jesus’ Commands and Teachings. Did you know that Peter explained all this to the Jews and converts to Judaism gathered in Jerusalem that day: He told them HOW TO BE SAVED from their own corrupt generation. 41 Those who accepted his message were baptised, and about three thousand were added to their number that day. On that first Day of Pentecost, when the Holy Spirit fell on all the Followers of Jesus, it was Peter who stood up and preached. What Peter said to them broke their hearts and they were convicted and pleaded with Peter and the other Apostles to tell them what they should do next, how they could be saved from God’s wrath and anger because they had killed the Messiah. Peter explained, and told them how to be saved: they had to repent of their sins and believe on Jesus Christ. 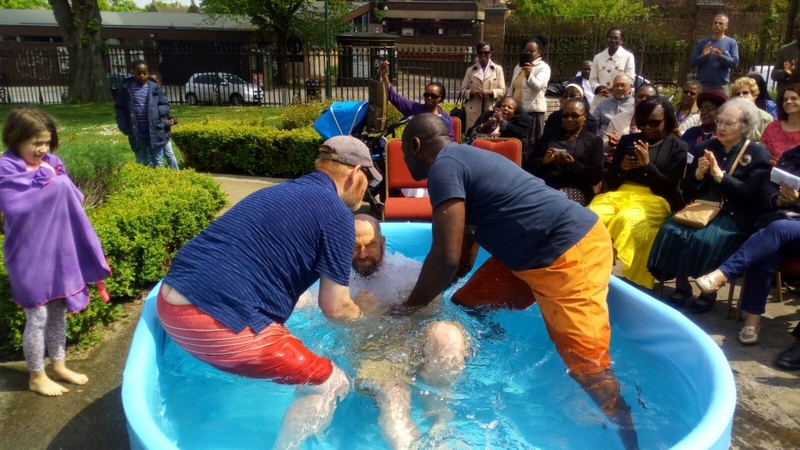 They would give proof of the sincerity of their repentance and faith by being baptized in the name of Jesus Christ, publicly doing so identified them with their Messiah and Lord and Saviour; Jesus Christ. That baptism would signal that their trust in Jesus death was for their sins, their sins would we washed away. My friends, it was on the first Day of Pentecost that a person could be saved ONLY by repenting and believing on Jesus Christ. Only then could they too receive the promised gift of the Holy Spirit for themselves (Gal. 3:2, 14), and this promise was for both the Jews and the “far off” Gentiles (Eph. 2:13-19). For ALL whom the Lord our God will call. He’s calling ALL Peoples, all over the Earth to have faith and trust in Jesus Christ. He’s pulling men to Himself through the Holy Spirit, even before you go out and witness to them. Do you believe that’s the Father’s Heart? You, your children, your family, your friends, everybody who knows you: Your OIKOS. My wife’s getting tired of me going on about OIKOS. She said, “If I hear it once more I’ll OIKOS you”… LOL. But that’s the Father’s HEART: To save your complete family and bring in the whole company of those who know you follow Jesus, He wants to SAVE Them ALL. Do you believe it’s the Father’s HEART: To SAVE everyone who knows you are a follower of Jesus? Everyone, you love, your Father in Heaven loves even more than you. We’ve finished our Week of Prayer: But please DO NOT STOP praying for all those who’ve yet to trust in Jesus. Keep praying for your OIKOS List; until they are ALL SAVED. God wants to SAVE your friends and family. Who’s ON Your OIKOS List? List them again by name before Jesus. Think about their lives: What’s going on with them? What’s their problems? What’s their heart-desires? What’s their deepest need? And talk to the LORD for them. Next: Do something LOVING for your OIKOS: give them a gift, do a good thing they are not expecting, show them Jesus’ LOVE is in your heart. Next: Purposefully bring up something about Jesus, don’t ASK their permission, just share something. Even if they’ve rejected it before, do it again. Shown them that you are NOT going to give up on them, even if they’ve given up on God. Finally: Remember, it’s their ETERNAL wealfare that you are most concerned about, their DESTINY is not looking good if they don’t trust Jesus. Get a handle on Hell and that will motivate you to endure rejection. Remember, anyone who’s not trusted in Jesus yet is BLIND and DEAF, they don’t know what they are rejecting, they can’t hear yet, because Satan has both blinded their eyes and deadened their ears. However, Holy Spirit POWER can break through into their darkness and let them see the light of the Gospel of Jesus Christ. Keep going back for more: You didn’t put your faith in Jesus the first time you heard the Gospel, so give them LOTS of opportunity. Even if they reject it three or four times before they come to faith. Share a little bit more of what it means to be a follower of Jesus. The Holy Spirit will be drawing them to faith and trust in Jesus. PRAY: For yourself that you’ll STAY FULL of Pentecostal Power to reach out and SAVE others for Jesus. You need the Holy Spirit every day, you need Jesus presence and power in you, so ask Father God to fill you afresh every day in order that you can live in His will to save others. Be blessed my friends, and live every day in Pentecostal Power and Presence of the Holy Spirit, knowing that Jesus is with you always. Entreat your Heavenly Father for your friends, family and followers. Be obedient to Jesus commands and tell them HOW to be SAVED in this, their own, corrupt generation. P.S. Pray for me, I’m shattered now 🙂 But I want to keep going for Jesus. I’m also praying for everyone on my own OIKOS. P.P. S. SEE more of the Baptism pictures here at St Luke’s Church Facebook Page. I’ll be posting some more awesome shots that my wife Julie took as well.